Romantic Santa Catalina Island is a perfect getaway. It’s a mere 22 miles off the coast of southern California from Dana Point and getting there is half the fun! Most people arrive by high speed luxury cruisers from Dana Point, Long Beach, Newport Beach or San Pedro with up to 30 departures a day from the mainland. Others arrive on their own yacht and moor their yacht just offshore in picturesque Avalon Harbor. Then they take a water taxi to shore. Still others arrive by commercial helicopter or private plane. With a year-round population of less than 3,800 people and transportation limited to golf carts and tour buses for sightseeing in the outlying regions, getting to know Catalina Island is a lot of fun. So if world renowned dignitaries including American presidents, royalty and movie stars have made it a point to visit romantic Santa Catalina Island, so should you. Catalina is a wonderful do everything or do nothing getaway offering tons of water sports including swimming, snorkeling, parasailing and boating. Plus, they offer a thrilling zip line downhill excursion, hiking, golfing, shopping, spa treatments, sunbathing on the beach, great ocean view restaurants and attractions galore. And if there is a wedding in your future, Catalina is a perfect spot. For up-to-the-minute information about romantic Santa Catalina Island including where to stay, contact the Catalina Island Chamber of Commerce (34) (310-510-1520) [catalinachamber.com]. Once you get there, you’ll find that their visitor information center is ideally located at the foot of Green Pleasure Pier in the heart of Avalon right on the pier. 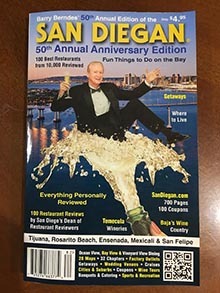 For an online calendar of events visit [catalinachamber.com/events]. Editor’s note: The bolded numbers in the text correspond to the Catalina map. Another great source of island information can be obtained from the Santa Catalina Island Company (310-510-2000) [visitcatalinaisland.com], who own this 22 mile long and 8 mile wide sliver of paradise. Yes, Catalina is a privately owned island! They offer a wonderful website filled with incredible photographs with suggestions of where to stay and what to do and they can assist you in your quest to find the perfect place to stay for as low as $129 a night. Prices are always estimates and subject to change without notice. There are more than 30 hotels, motels and romantic bed and breakfast inns and romantic cottages overlooking the harbor as well as private home and condo rentals. And if you love the great outdoors, you’ll find a good selection of camp grounds out in the foothills. Here is a sampling of places to stay with basic weekday prices as a guideline and of course prices are subject to change without notice. 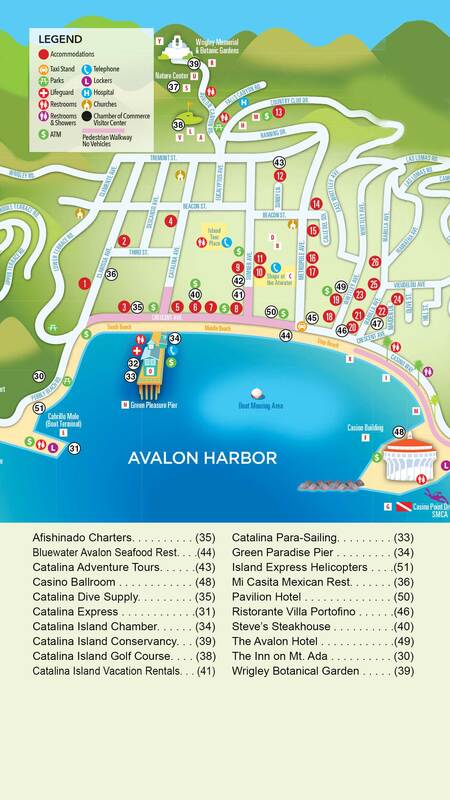 The Avalon Hotel (49), 124 Whittley Ave. Avalon, Catalina Island (424-226-3610) ($199-$590). Rated as excellent by 384 of 435 hotel guests. It’s a boutique hotel with nice views and cool breezes. Credit Cards: AE, DISC, MC, VISA. Catalina Island Vacation Rentals (42), located at 119 Sumner Ave., Suite B, Avalon, Catalina (877-686-9984) [catalinavacations.com] (e-mail info@civr.com) offers nearly 200 privately owned homes, cottages and condos in Avalon as well as classy Hamilton Cove Villas with Pacific views. Plus, they offer two casitas in Two Harbors. Private homes are a great alternative, having the best family vacations with accommodations to suit every lifestyle and budget. Credit Cards: AE, MC, VISA. 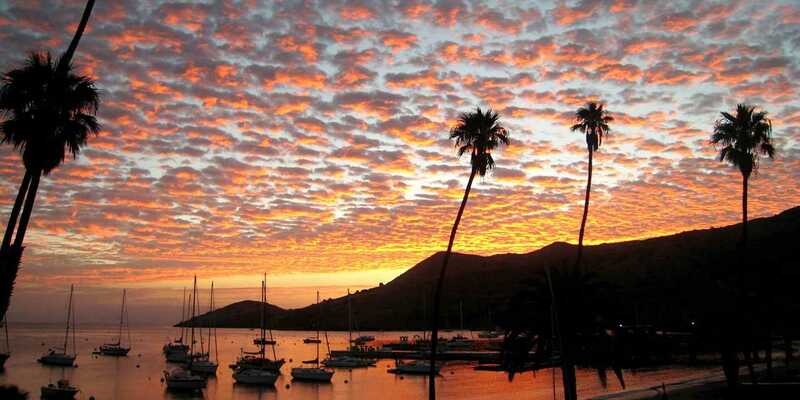 Pavilion Hotel (50), 513 Crescent Ave., Catalina (877-927-5214) with rates ($300-$800). Ranked as good to excellent by 701 out of 751 respondents on tripadvisor.com. Credit cards: AE, DISC, MC, VISA. The Inn at Mt. Ada (30), 398 Wrigley Rd., Avalon (310-510-2030) or (877-778-9395) or [visitcatalinaisland.com] with rates ($500-$800). Ranked as excellent by 102 or 108 respondents on tripadvisor. If you are excited about discovering the magic that makes Catalina so special, then you should stay or at least visit this delightful, world famous, hilltop bed and breakfast inn. It’s second to none. This magnificently restored mansion was built in 1921 by chewing gum multi-millionaire William Wrigley for his wife Ada. It is ideally located high on a hill overlooking Avalon Bay. In fact, it’s the former Georgian mansion of the owner of this island. Yes, you’ll be staying at the world famous William Wrigley Mansion. You don’t have to be a world traveler to know what first class is when you stay overnight at the elegant Wrigley Mansion overlooking Catalina Island’s breathtaking Avalon Bay. The views from this hilltop mansion at sunrise and sunset are nothing short of breathtaking. It’s definitely southern California’s most romantic island getaway. This Four Star Mobil Travel Guide winner truly lives up to it’s top rating. With its beautiful period furnishings and inspiring views, it takes absolutely no imagination to realize whose impressive home you are actually staying in. This elegant colonial-style mansion offers magnificent ocean views, comfortable queen-sized beds, some with fireplaces, a delightful breakfast each morning and delicious lunches on the terrace. So, what’s so special about the Wrigley Mansion and Catalina Island? In one word – it’s Romance. As the story goes, after Wrigley bought the island sight unseen, he brought his wife Ada, 22 miles across the sea from the port of San Pedro to look at his recent purchase. From her hotel room window the next morning at dawn, she told her husband that this was where she wanted to live. To put this statement in perspective they already owned three magnificent, world class mansions in Pasadena, California, Scottsdale, Arizona and Chicago, Illinois. So, why was she so awestruck by the magic of Catalina? Well, you’ll obviously have to come to Catalina Island and see for yourself. This enchanting hilltop getaway is listed in the National Register of Historic Places, which is an additional clue how special an overnight stay or lunch on the patio overlooking the harbor can be. That the inn is steeped in history and filled with elegant furnishings is only half the story. They have thought of everything including an afternoon happy hour with wine and appetizers set against the spectacular views of yachts moored on Avalon’s tiny harbor. They do welcome children over 14 years of age. However, they do not allow pets nor smoking indoors. Yet, they do offer unlimited use of a golf cart during your stay at the inn. Since only commercial vehicles are allowed on the island, having a complimentary golf cart is a huge perk. The going rate for a golf cart is $45 an hour in Avalon. Thus, having the unlimited use of a golf cart is a huge plus. Not only can you take your time and stop and see everything in Avalon more than once, you can also use it if you play a round of golf. Staying here is also a great opportunity to enjoy an insider’s perspective of what it must have been like when the Wrigley family entertained the rich and famous, including presidents of the United States, dignitaries and even royalty. So go first class by staying at the home of chewing gum millionaire William Wrigley. William Wrigley also owned the Chicago Cubs Baseball team. And he was such a great guy that he even brought his baseball team to the island for their spring training each year. Plus, he built the first golf course in California, here in Catalina. So for things to do in Catalina, you’ll never go wanting. The magic begins long before you even get to Catalina. This is based on the fact that less than one percent arrive on the island by air. The rest come via their own luxury yacht or aboard a sleek high speed smooth motor craft built for speed and luxury, with airline style seating, beverages and snacks to enjoy while you sit back and enjoy the hour-long cruise. The basic fare depending on whether you are a senior citizen or not is ($73–$75) per person round trip. Fares are subject to change without notice. The cruise line of choice from Dana Point is Catalina Express (800-481-3470) [catalinaexpress.com]. This cross channel carrier also offers hotel and round trip transportation packages aptly titled “Paradise Packages”. Some packages include sightseeing tours, shuttle service and more. If going first class is what you have in mind, you should opt for a round trip fare in your own stateroom called The Captain’s Lounge. From Dana Point it’s ($120 or $160) more per party and can accommodate up to 8 passengers. It includes four complimentary beverages. Best off all, you have a lush private cabin all to yourselves that’s filled with great views. Plus, when you board, you are the first ones to board and you are escorted to your cabin by a steward before the other passengers are allowed to board. Now that is first class treatment! While there are four ports of departure from the mainland, the best port of departure for San Diego residents is Dana Point Harbor. The other ports of departure are San Pedro, Newport Beach and Long Beach. You can Google the easy-to-follow directions from your doorstep to the loading dock for this no hassle boating excursion. After parking at their nearby parking lot you’ll be whisked away aboard this passenger boat for the one hour trip to Catalina Island. Upon your arrival in Catalina Harbor (31), you’ll find a handful of taxi cabs and hotel shuttles waiting there at the dock to greet you. It only costs about ($15) with a tip to take you to any of the nearby hotels. Many hotels overlook Avalon Harbor. So if you know where they are located, you can walk there. However, if you have decided to treat yourself like royalty, you’ll find a shuttle waiting to take you to the former Wrigley Mansion, which is now called The Inn on Mt. Ada (30) at 398 Wrigley Rd. For the largest selection of golf carts and more, visit Catalina Auto & Bike Rentals (35) at the corner of Crescent Avenue and Metropole Avenue (310-510-1600). They also rent bikes, coaster bikes, mountain bikes and electric bikes. But the transportation of choice for locals and visitors is golf carts. It costs ($45) an hour to rent a golf cart from one of two companies. They take all major credit cards. With no traffic lights on Catalina Island and virtually no automobiles other than golf carts and a few commercial vehicles the pace is extra slow. So you will almost immediately find yourself immersed into a casual frame of mind, which is commonly referred to by locals as island time. The good news is that the resort town of Avalon is only one square mile in size. So you can rent a golf cart and see everything you want to see in a couple hours and then go back on foot. So don’t be surprised to learn that the best mode of transportation other than by traveling by golf cart is strolling up and down the streets holding hands with your sweetheart. Catalina is truly a lovers paradise. Besides loafing around and browsing through the waterfront shops or touring Avalon in your golf cart, here are a few popular things to do with your time. Golfers will be delighted to know that William Wrigley also built the first golf course in California, and it’s right here on Catalina Island. It’s a fun yet challenging executive course called the Catalina Island Golf Course (38) (310-510-0530) [visitcatalinaisland.com]. They also rent clubs and a push cart for ($75) on the weekends and ($65) during the week. If you want a golf cart, and who doesn’t, it’s ($25 for two people). Plus, it’s a good idea to call in advance for a tee time. This nine hole golf course is well-known for its first tee, which has golfers teeing off over towering eucalyptus trees and over a busy street on to a long fairway fifty yards away. Then golfers climb into their golf carts and head down the street to find where their ball has landed. An eye-catching Catalina landmark, not to miss, is the famous Casino Ballroom (48) where for many years it has been the site for seasonal live jazz concerts and dancing. Despite its name, it was never a gambling casino. A wonderful discovery is the Wrigley Memorial & Botanical Garden (39). Admission is ($7) for adults, ($5) for seniors and veterans and ($3) for children 5 –12 years of age. It’s a two mile walk from Avalon Bay to Avalon Canyon, but it’s worth the hike. You can also get there via bus or rent a golf cart. Here you will see an extensive collection of plants from throughout the world as well as seeing the impressive Wrigley Memorial. One of Avalon’s big attractions is a down- hill thriller billed at the Zip Line Eco Tour (800-626-1496) [visitcatalinaisland.com]. This span wire downhill plunge gets rave reviews from the thrill seekers who takes the 4,000 foot plunge from 500 feet above sea level to the water’s edge. The cost per person is ($129). Deep sea fishing has been a big attraction since the late 1800s and it continues to attract sportsmen today. Notable anglers, who fished the waters off of Catalina included author Zane Grey, who was also a resident of the island, movie magnet Cecil B. DeMille, actor John Wayne and even Sir Winston Churchill. A top sportfishing company is Afishinado Charters (3) at 203 Crescent Ave. in Avalon Harbor (888-613-7770) [afishinados.com]. This is a great activity for adults and families. They have four boats so prices vary with the number of people and the boat. With the waters off of Catalina being so clear it’s no wonder that undersea adventures abound here as well. Everyone raves about their tour on the island’s glass bottom boat. Also popular is the yellow submarine that takes you on an under sea adventure. The firm that specializes in undersea adventures is Catalina Adventure Tours (35) (877-510-2888). Catalina Divers Supply (35) (310-510-0330) [catalinadiverssupply.com] is a well-established scuba shop offering everything you need. They also rent diving equipment. It’s equally fun to just rent a boat for sightseeing and fishing. Green Paradise Pier (34) is your headquarters for everything aquatic be it a boat, fishing tackle or scuba diving. The types of boats they rent include motor boats, kayaks, pedal boats and paddle boards. Parasailing offshore is a popular activity to watch and do. Plus, you’ll have a bird’s eye view of Avalon Bay and the beautiful hillside homes along the shoreline. Best of all take off and landings are directly from the boat. Parasail Catalina (33) can be reached at (310-510-1777). The Catalina Island Conservancy (12) manages Catalina Island’s backcountry. You can see it via a jeep eco tour, hike it, bike it with permits or take an informative air conditioned bus through the interior to the Avalon Canyon/Airport in the Sky. The airport is said to have one of the most challenging landing strips in the world. The airport is approximately eight rugged miles from Avalon. In route to the airport you are likely to see a real live bison (sometimes called buffalo) roaming the island’s interior. Their ancestors were once western movie extras for a movie shot on the island. When the filming was completed, it proved to be too difficult to round them up. So they have become a Catalina Island attraction, which visitors never tire of catching a glimpse of from a tour bus ride in the interior. Thrill seekers should take a spectacular helicopter air tour of Catalina Island. Island Express Helicopters also offers a 15-minute helicopter flight from San Pedro, Santa Ana, Burbank or Long Beach, which is the fastest way to get to Catalina. This well-established company is celebrating over 25 years of service to Catalina. Island Express Helicopters (51) can be reached at (800-228-2566) [islandexpress.com]. Without a doubt, the most recommended seafood restaurant in Avalon is Bluewater Grill Seafood Restaurant (44) at 306 Crescent Ave. (310-510-3474). This 250-seat restaurant is open daily for lunch and dinner Sun.-Thurs. 11 a.m.-7 pm. and Fri.-Sat. 11 a.m. – 9 p.m. You’ll undoubtedly agree that their delicious tasting fresh seafood and breathtaking harbor views make dining here unbeatable. Their commitment is to serve only the freshest sustainable fish available. So their daily updated menu consist of fresh fish coming from their own boats to insure that you’re eating freshly caught local seafood. It doesn’t get any better than this. 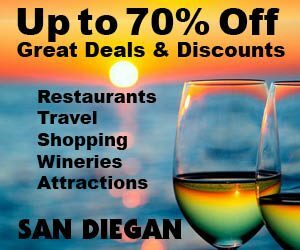 They also have restaurants on the mainland in Coronado, Temecula, Newport, Tustin, Redondo Beach, Carlsbad and Phoenix, Arizona. Credit cards: AE, MC, VISA. See Restaurants. For tantalizing Italian cuisine a great recommendation overlooking the tiny harbor at Avalon is Ristorante Villa Portofino (29) at 101 Crescent Ave. (310-510-2009). After visiting romantic Catalina you’ll discover that one visit is never enough. So with a fleet of fast cruise ships and helicopter transportation, getting to romantic Santa Catalina Island is easy and fun. Yes, you’ll also find a good Mexican restaurant here too. It’s Mi Casita Mexican Restaurant (36) at 111 Claressa Ave. (310-510-1772). It’s only a half block from the waterfront on Claressa Avenue. It’s a festive and fun place to eat! After visiting romantic Catalina you’ll discover that one visit is never enough. So with a fleet of fast cruise ships and helicopter transportation, getting to romantic Santa Catalina Island is easy and fun.